Fraser Moonie, Graeme Wood and Mike Arnold. Two new chief operating officers and an offshore support services director have been appointed at Bibby Offshore to support the company’s significant future development plans. Current managing director Fraser Moonie, who has been in the role for three years, becomes responsible for eastern regions including Norway, S.E. Asia (including Singapore) and Australia. He has 16 years’ experience in the subsea and offshore industry and has been with Bibby Offshore since 2003. In addition to his role as director of Bibby Remote Intervention Limited (BRIL), Mike Arnold has now assumed responsibility for all western regions including West Africa, North America - including Trinidad, Canada, Alaska and South America. Mike has headed up the BRIL division since late 2011 and prior to this has almost 30 years’ experience in the industry. The UK North Sea region will remain split between Mr Moonie and Mr Arnold, with Fraser retaining all Bibby Offshore projects and Mike all BRIL projects. With almost 30 years oil and gas experience, and having previously held the position of Bibby Offshore’s asset operations manager, Graeme Wood has been appointed as offshore support services director where he will be responsible for the entire Bibby Offshore fleet of vessels. 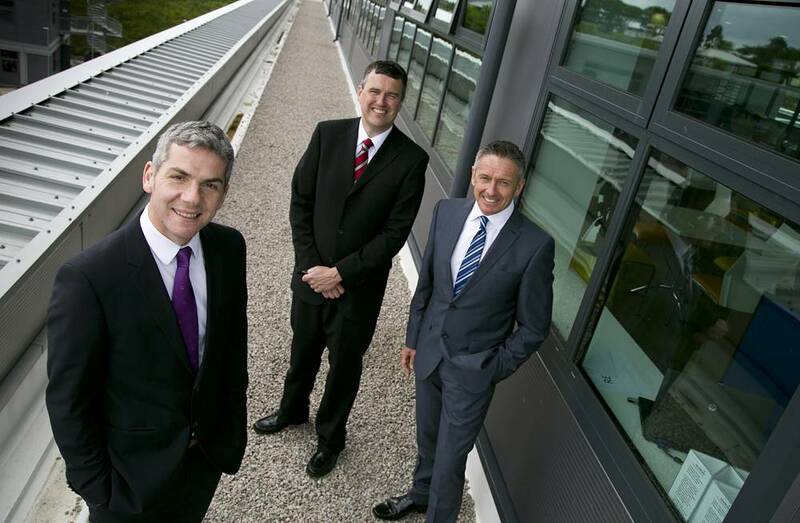 In May 2013, the subsea installation contractor relocated to new multimillion pound, purpose built headquarters at Atmosphere One, Westhill. It is currently on track to achieve a turnover of £220million by the end of 2013, with plans to increase this to £650million by 2017, creating more than 100 onshore jobs in the north east. Bibby Offshore’s chief executive Howard Woodcock said: “The recent move and company restructure was essential due to the speed at which we are expanding, the impressive demand for the company’s expertise, and our growth strategy to triple the size of our business around the world in the next four years. Fraser, Mike and Graeme were the ideal candidates to take the business to the next level due to their in-depth knowledge of the business and industry as a whole. “One of Bibby Offshore’s core values is to realise the talent of its people, therefore, along with the expansion of the business, our new structure will create opportunities for people within Bibby Offshore and Bibby Remote Intervention Limited to take on more responsibility and to expand their international experience. BOL and BRIL, part of Bibby Offshore has grown from 10 employees in 2003 to now employing more than 1,300 people onshore and offshore worldwide, with offices in Aberdeen, Liverpool, Singapore and Trinidad. The company has an international fleet of six subsea support vessels and 12 Remote Operating Vehicles (ROV) and will continue to add to their fleet to meet demand.